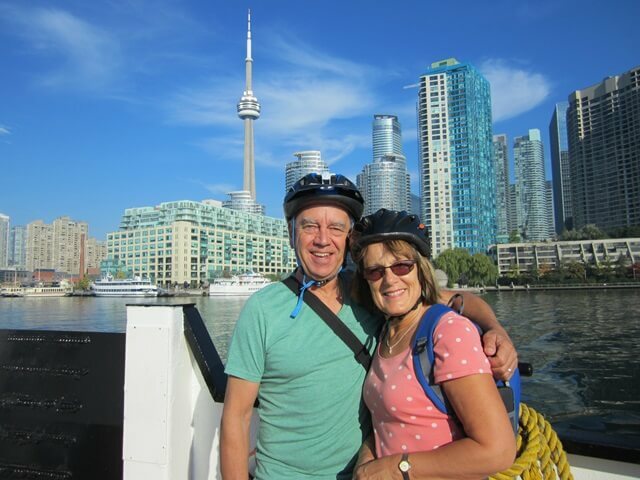 Just minutes from the busy, bustling downtown core of the city you’ll find the Toronto Islands–a five-kilometre oasis of 15 interconnected islands that locals have been escaping to for fun, relaxation and tranquility for over 200 years. 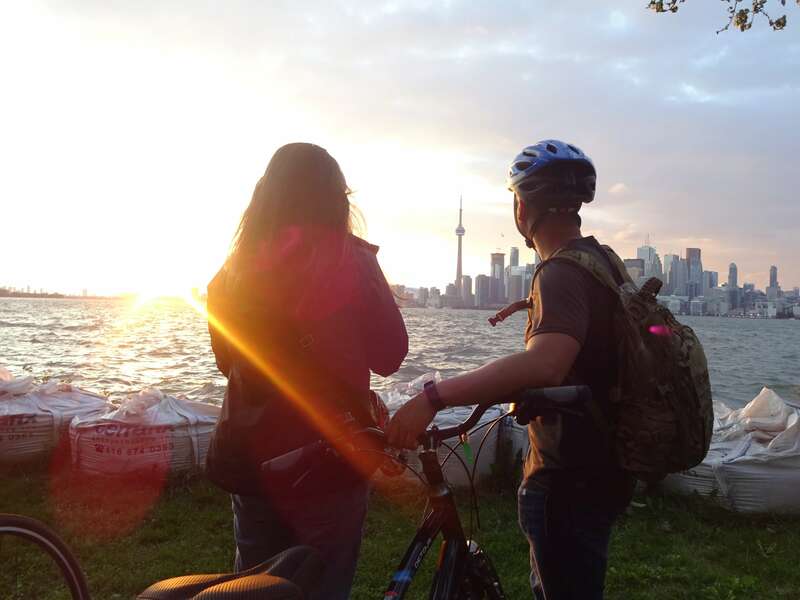 Embark on this Toronto Islands bike tour and explore the beauty of the islands, the history and attractions, a quaint cottage enclave which is the largest car-free community in North America and stunning views of the City skyline. As evening falls, the daytime crowds and tourists retreat back across the water to the City. 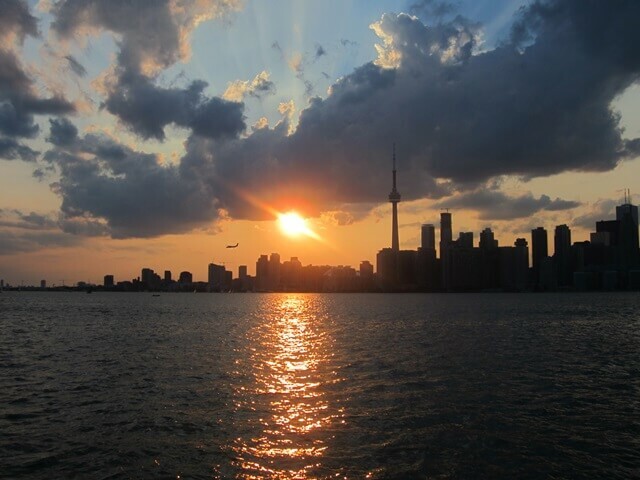 On our Twilight Islands Tour you will get to experience the islands after dusk, including a beautiful sunset and magical views of the twinkling Toronto skyline as it lights up in the evening. 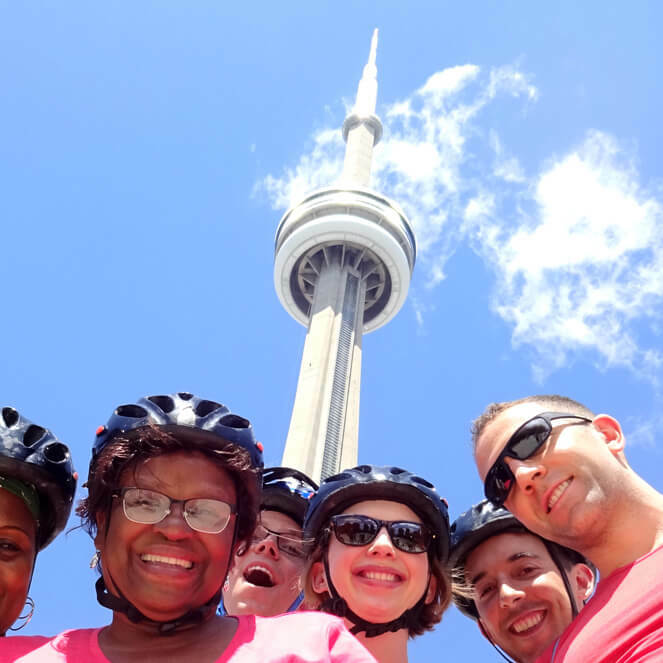 When you book this bike tour you’ll also get 15-20% discounts to other great Toronto attractions that you can visit before or after your tour. 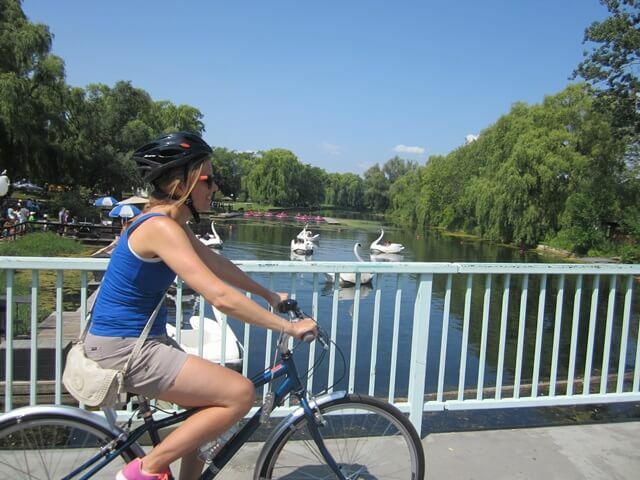 "I took my team on a Toronto Islands Bike Tour…and it was fabulous. We had a great time, the tour was interesting, and we felt as though we were miles away from Toronto." 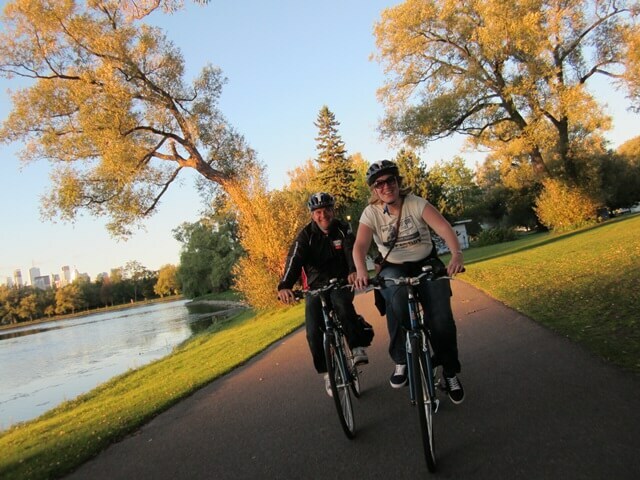 "We highly recommend this tour to anyone looking for a little mini-adventure in the city. Beautiful scenery in a really special place!" 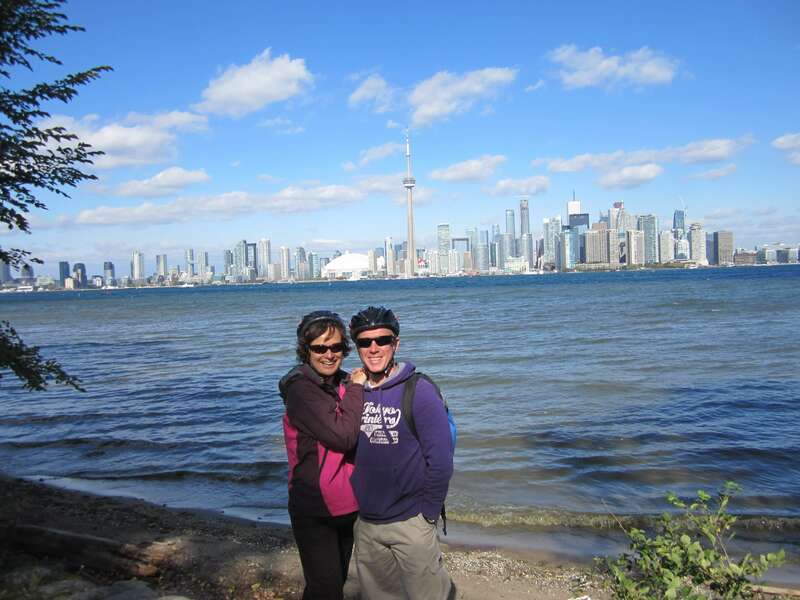 "The highlight of our trip to Toronto, definitely recommend the islands tour to anyone who wants to see a different view of the City." 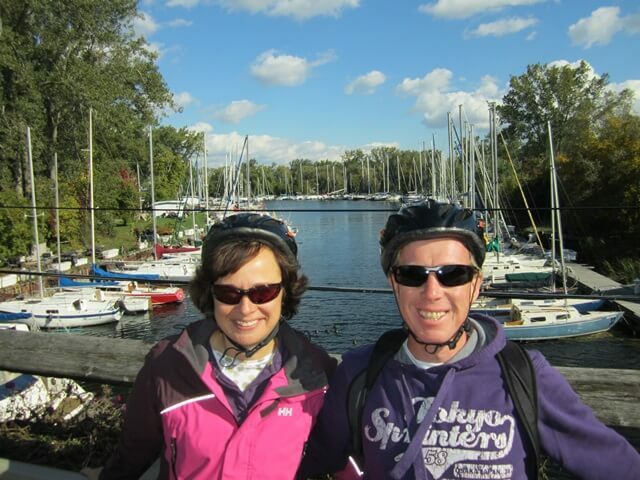 "This tour far exceeded our expectations. 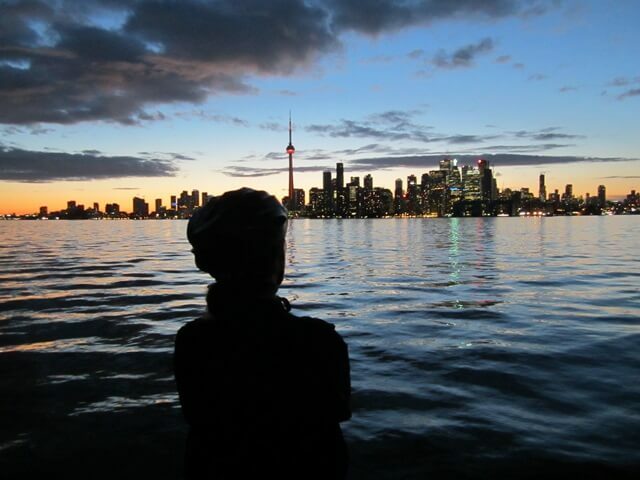 The time flew by and the best part was taking photos at sunset of the Toronto skyline. It was fantastic." 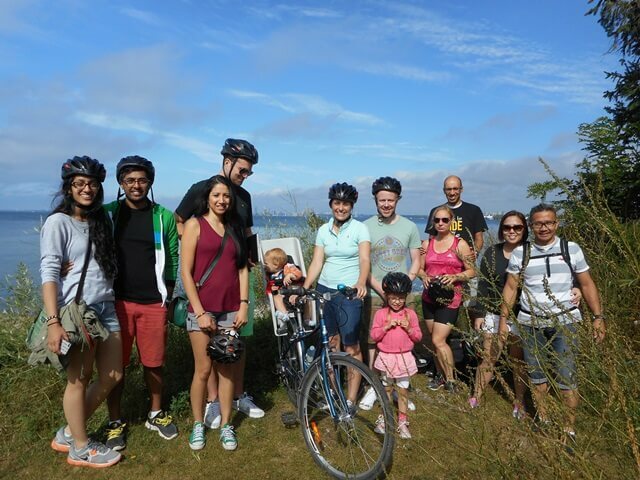 Price of bike tour includes: use of a bicycle with front and back lights, helmet, safety vest, water, snacks, ferry ticket and tour guide(s). Children are welcome when accompanied by a parent/guardian. Reservations required.